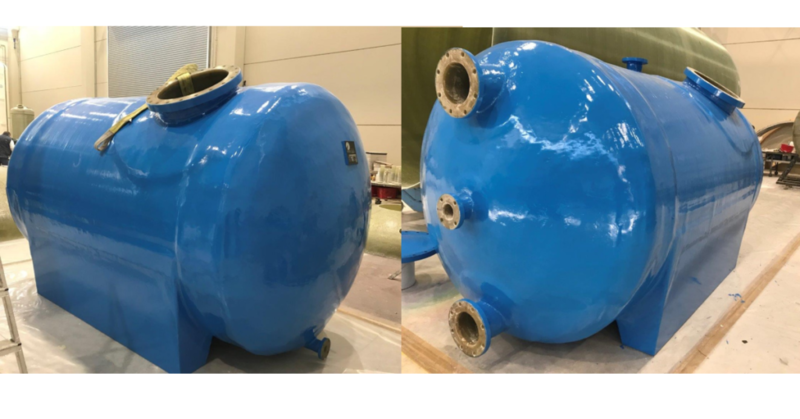 Glacier Filtration has supplied custom built GRP filter vessels for a Gland & Potable Water Treatment Plant at a remote mine site. The existing Bobbin Wound Filament vessels in the plant which were supplied by another manufacturer needed replacing due to operational failures after just four years of operation! There was strict requirements from the client, the replacement vessels had to fit into the existing footprint and pipework to ensure a clean changeover with minimal downtime and hassle. Glacier Filtration offered vessels using Radial Filament Winding, roving and woven roving oriented fibre construction with our post-curing process which eliminates the risk and potential for failure that is common in low-cost bobbin wound Pressure Filters ensuring reliability, longevity and consistent performance. Do you have old or failed Pressure Filter Vessels that need replacement? Contact Glacier Filtration today to find out how we can help you with your requirements and minimise changeover costs and downtime.